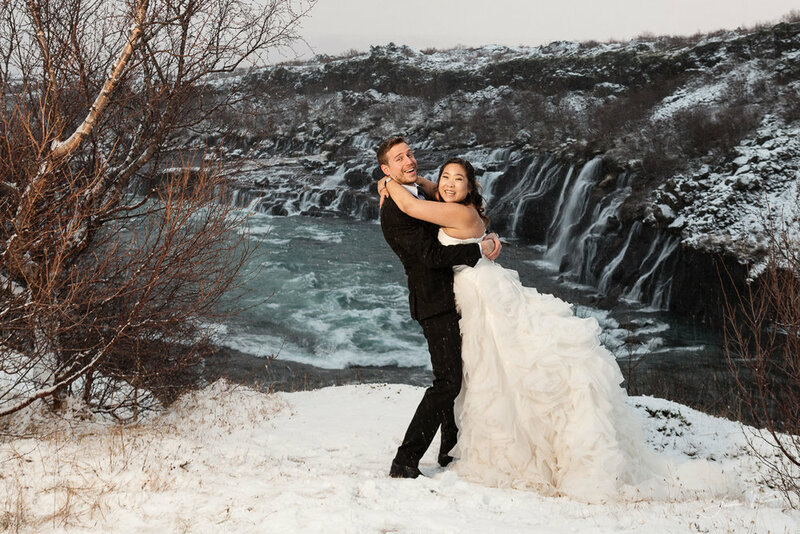 Pre wedding photo shoot by Hraunfossar (Lava falls) in the west part of Iceland. 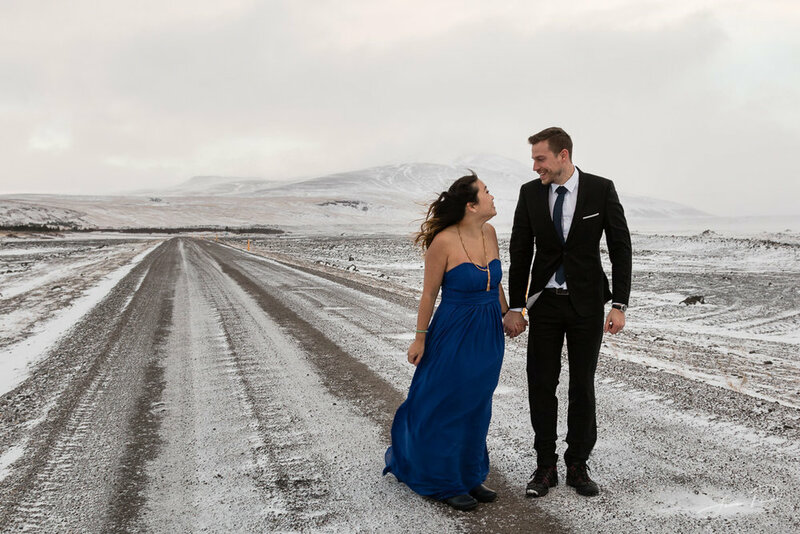 Pre-wedding photo session with Icelandic photographer Jón Páll Vilhelmsson. The bride to be is Stephanie Tang is from Belgium and Pierre-Charles, groom to be, from France. The session took place Desember 19th 2016. It was basically too cold and too windy to shoot anywhere else so we took them to Hraunfossar (Lava falls) in the west part of Iceland and then to a large lava cave, Víðgelmir. At least it wasn't as windy and cold in the cave. It made a really interesting backdrop.